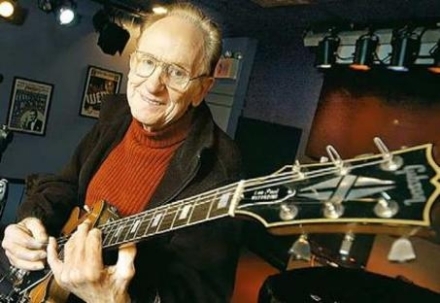 Les Paul was born Lester William Polsfuss in Waukesha, Wisconsin, on June 9, 1915 (that’s why he’s also called “The Wizard of Waukesha”). He liked building guitars and playing them – first as a country guitarist and, later, to follow his passion: jazz. But, most of all, he is the true inventor of rock and roll. He did that by creating the Gibson Les Paul, a creation that many musicians -like Eric Clapton or Keith Richards- prefer. It took Les Paul eight years to convince Gibson to manufacture the iconic guitar that carries his name in the 1950s, which first carried the name of the “log guitar”. Today, a Gibson Les Paul from way back then will probably set you back around $10.000-$20.000. Les once told the New York Times: “When you just get mixed up, when there’s too much going on, then it’s time to pick up your guitar”. That feeling is exactly why we love making music, why we love making guitars and why we work so hard, every day, to try and make more and more people start learning toward their one-way crush to playing guitar. So long live the Wizard of Waukesha. Our dream wouldn’t even exist without you.